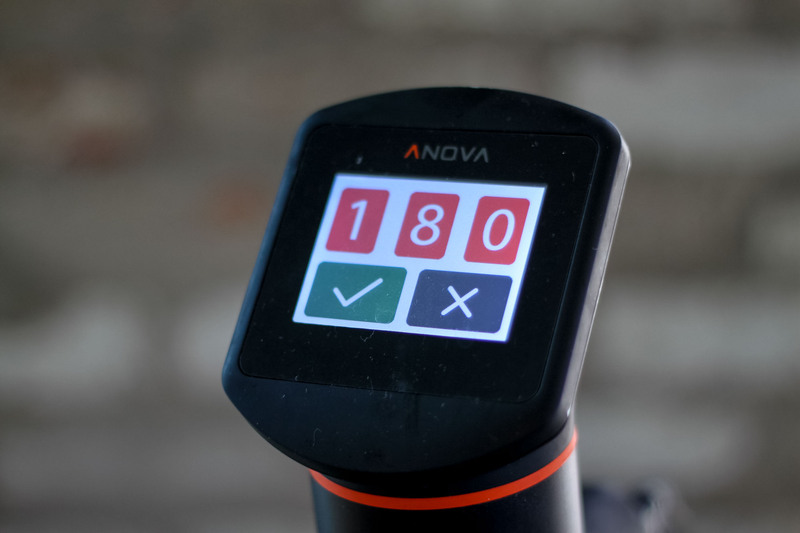 The Anova Sous Vide Precision cooker eliminates the stove-top step of homemade ice cream prep, ensuring the mixture is perfectly smooth and the eggs don’t curdle. You’ll still need to churn the cream in an ice cream maker, according to the manufacturer’s instructions. Set the Anova Sous Vide Precision Cooker to 180°F (82.2°C). Place all ingredients in a blender and puree until smooth and frothy, about 30 seconds. Transfer to a zipper lock bag and seal using the water immersion technique. Place in the water bath and set the timer for 1 hour. Agitate the bag several times throughout the cooking process to prevent clumps from forming. When the timer goes off, remove the bag from the water bath and transfer to an ice bath to cool. Following the manufacturer's directions, churn the mixture in an ice cream maker until set. Freeze until ready to serve.